Despite the proliferation of social media, email marketing remains one of the most powerful sales and marketing tools for B2B and B2C organizations. Microsoft Outlook is an email category leader, with than 400 million people using Microsoft Outlook to communicate with customers and prospective buyers. But don’t be fooled into thinking that an email client, like Outlook, is going to help you successfully manage your most important customer relationships. While Outlook is a formidable email client, it doesn’t possess the customer nurturing qualities and features of a leading CRM. 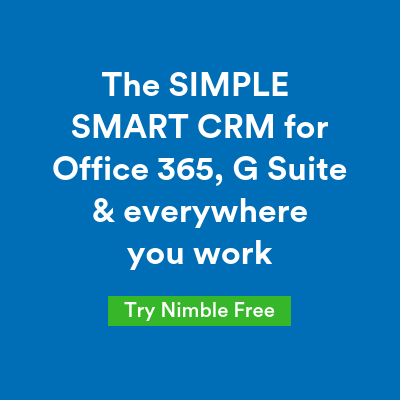 Fortunately, when you combine Microsoft Outlook with a CRM Add-in, like Nimble, you have the ability to keep all of your customer profiles, tasks, and calendars up to date and in sync with your email inbox — automatically. 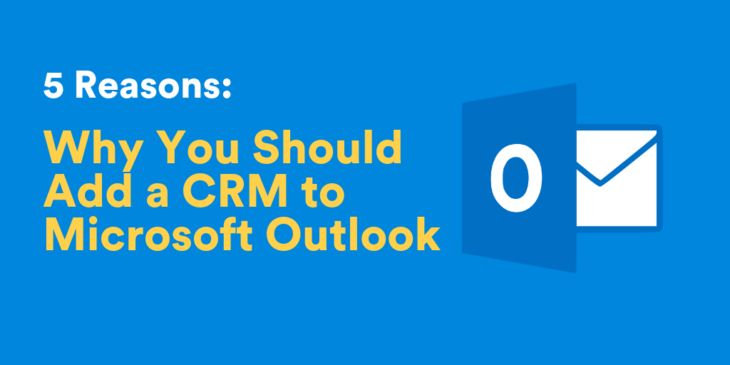 In this post we’ll discuss five ways why pairing a leading CRM with Outlook will not only give your client relationship management a big boost, but also your productivity. There are several options in the marketplace today that provide sales intelligence, but many of them are expensive such as LinkedIn Sales Navigator that starts at $65 monthly and goes up from there. The problem with a tool like LinkedIn Sales Navigator is it assumes your primary communications channel is LinkedIn, whereas most people communicate using email. LinkedIn provides a limited capacity to migrate your leads without quickly hitting monthly leads and other feature caps. It also doesn’t integrate with your email inbox, which you could readily achieve by integrating a CRM Add-in with Outlook. CRMs impart a better way for you and your entire team to manage and track your contacts so you can foster deeper relationships in a genuine, and more organic, way with people who matter the most to your business. CRMs provide members of your team with critical sales intelligence — information such as job titles, phone numbers, company locations and social media platforms accessible — instantly! When integrated with social media, a CRM helps you to discover a person’s interests, hobbies, or other personal details so you can quickly find common ground upon which to build a relationship. In addition, you can easily tag and add contacts for appropriate follow-up. What’s more, some CRMs automate the data entry process and updates your contact records as you engage. 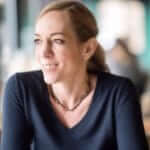 They can automatically fill in contact records and help you better manage the most important contacts you need to stay connected with and nurture. Nimble, a Microsoft Partner, has a plugin that works directly alongside Outlook and browsers and helps you find instant insights on people and companies by automatically building live profiles. Whether you’re working in your inbox or browsing the web, Nimble delivers you enriched profiles with all the essential details you need to help determine if the lead is viable to pursue. Chances are, your email account inbox is flooded with tons of emails right now. Aside from being overwhelming, a cluttered inbox can also result in valuable contacts and email addresses getting lost. Adding a CRM into Outlook can help keep your inbox and data organized so you can stay on track of valuable leads and top priorities. It can also help streamline communication by syncing contacts and calendars and makes it easy to mark important emails for follow-up. A CRM tool like Nimble allows you to set “Stay in Touch” reminders to ensure a contact relationship is nurtured. You can also use organizational features like tags, which can be used to efficiently segment contacts based on business criteria and follow up with highly targeted groups. You aren’t the only one making valuable contacts every day—your team is, too. That’s why it’s important to use a CRM that allows you to share contacts and conversations amongst team members to strengthen your overall network reach. CRMs help you work smarter by unifying your team’s important contacts, emails, and activities in one space that can easily be assigned to deals. Easy access to a single source of truth for your team’s communication history and sales information and social sales intelligence is critical for everyone to be on the same page. When using Nimble, for example, you and your team will be able to access client records, communication history, and insights from your Outlook inbox anywhere. As a result, you can focus less on logistics and more on growing your network. CRM software makes sending out group emails a breeze and the best CRM tools on today’s market implement marketing automation technology. An effective feature in the CRM software Nimble is its saved email templates. Templates help to save you time while also keeping the formatting of your emails consistent. Furthermore, CRM software allows you to send trackable emails to see who is and isn’t engaging with your emails. This gives insight into who’s “warm” to your email and when is the optimal time to engage. Not only will you better understand what relationships are worth pursuing, but you will also have insights into your contacts behaviors. As a result, you can formulate a follow-up to further engage recipients and intelligently nurture a relationship. A CRM that has built-in sales intelligence helps divulge contact behavior and interest. The right tools can help you catalog customer’s email and social histories, mark recurring clients and identify potential opportunities or sales leads. By tracking engagements, CRM can also help to identify weak areas in the sales process that need addressing in order to improve sales. Knowing that contacts are consistently not answering your emails or follow-ups allows you to reflect and improve your emailing strategy and hopefully increase sales performance. Overall, what makes CRM software a powerful add-in to Outlook is its ability to supply you with valuable contact behavior and information to nurture relationships and increase business performance. Empowering Outlook with a CRM software that features traditional client-relations strategy, contact management, and marketing automation may just be the secret to making your next big deal. Previous What Questions Should You Ask When Hiring a Sales Manager?